If the country of Japan was dubbed the cherry blossom kingdom with the park, the road is filled with pink charm of cherry blossoms. In Vietnam, especially Sapa a mountainous town in the spectacular scenery, every spring, Sapa forest mountains wearing a new color, pink flowers of cherry blossom. 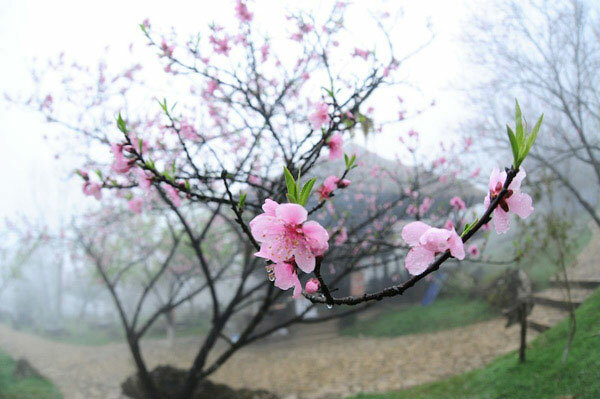 Coming to Sapa town, tourists will admire the amazing beauty of the Cherry blossoms are blooming stretched. The flowers Cherry sappy carry signals a coming new year. The beauty of Cherry flowers adorn Sapa rare beauty. Only to Sapa town, tourists can admire the beauty seductive, passionate of Japanese Cherry blossoms. Pastel pink blooms in clusters, brilliant one corner of the sky. Cherry blossoms are grown primarily in the Xuan Vien lakeside campus. The beauty of it is that visitors cannot look away. It spite of the freezing between the mountains of Sapa. Due to their heart-melting look, more and more peple, especially young couples, come to Sapa in spring for taking photos for their wedding album with Cherry blossoms. There’s nothing quite like watching Cherry blossoms in Sapa in their blooming season and letting Cherry petals fall on your head after each naughty wind. This feeling can melt the strongest heart with the beauty and charming small of Cherry blossoms. When is the cherry blossom season in Sapa? Cherry blossoms planted in central lakeside of the town brilliant bloom on the first days of a new year, attracted many tourists to admire. Flowers usually bloom within about 6-12 days, tourists should come and see before they wither. Cherry blossom is a highlight for tourists to Sapa in the early days of the year. There are many types of cherry blossoms in Japan but in Sapa, there are only 3 main types with 3 colors namely light pink, reddish pink and white. Cherry petals are thin and fragile, but when they are in full bloom, nothing can be compared to that pure Japanese beauty. You will never know that you just learn how to live in harmony with the nature and admire the beauty in the simple. 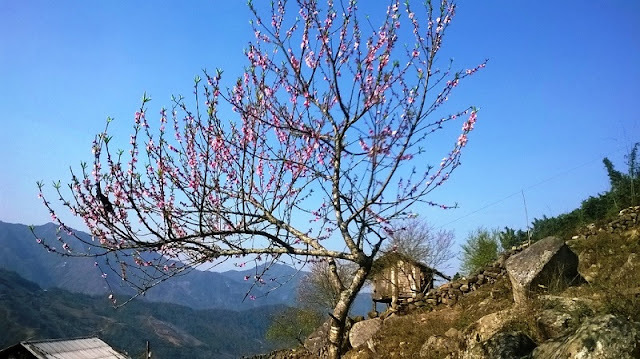 Not marvelous like cherry blossom in Japan but cherry blossom in Sapa still has an irresistible charm that can make you fall for from the very first sight. 2 days for Sapa to enjoy the beauty of cherry blossom and other unique experiences. Are you ready? Where to go in Vietnam – Sapa richly deserves a place in top spots.